Our Catalina Cocktail Tables are idyllic to the stunning coastline and crystal clear surf of the famous Catalina Island in which they are designed after. Their rounded legs, delicate arches, and beautiful glass tops truly speak volumes. You can clearly see and appreciate the Walnut framework through the perfectly round solid glass top of this specific piece. 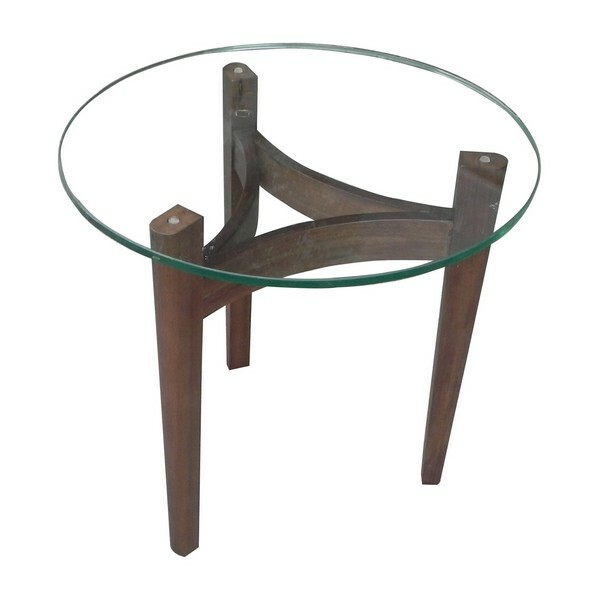 Bring the charm of southern California’s Catalina Island directly into your home with this sophisticated cocktail table.